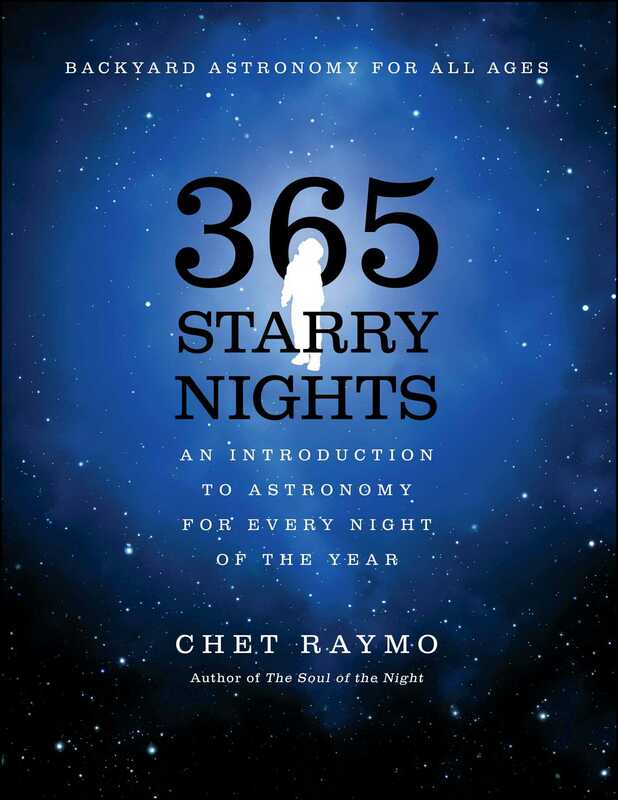 365 Starry Nights is a unique and fascinating introduction to astronomy designed to give you a complete, clear picture of the sky every night of the year. Divided into 365 concise, illustrated essays, it focuses on the aesthetic as well as the scientific aspects of stargazing. It offers the most up-to-date information available, with hundreds of charts, drawings, and maps-that take you beyond the visible canopy of stars and constellations into the unseen realm of nebulae and galaxies. This simple yet substantial text is full of critical information and helpful hints on how to observe the stars; describe their position; calculate their age, brightness, and distance; and much more. Whether you observe the sky with a telescope or the naked eye, 365 Starry Nights makes the infinite intimate and brings the heavens within your grasp. Keep this invaluable, informative guide close at hand, and you'll find that the sky is the limit 365 nights a year. 1st: The map at the left shows all of the stars we will study during January -- and more. To find them in the sky, it is best to start with Orion, one of the most conspicuous constellations. The stars of Orion vividly suggest the mythological figure they are supposed to represent -- a bold hunter armed with a club and sword and faced by a charging bull. To observe Orion, find a place where you have a clear view of the sky. Turn so that you are facing south. During the evening hours this month you will find Orion about halfway up from the horizon to the zenith. The zenith is the point in the sky directly above your head. The most striking feature of the constellation is the alignment of three equally bright stars in the hunter's belt. If you are looking in the fight direction you can't miss it. As you stand facing giant Orion, the glittering yellow star almost directly over your head is Capella in the constellation Auriga the Charioteer. Capella, with Aldebaran in Taurus the Bull, Rigel in Orion, Sirius and Procyon in the Big and Little Dogs, and the Gemini twins Castor and Pollux, make up the Winter Hexagon. Betelgeuse, the brilliant red star in the arm of Orion, is near the center of the Hexagon. In January and February we will look closely at each of these stars and constellations in turn. 2nd: Once you have found and learned the stars of Orion's belt, you will never again have trouble recognizing this constellation. Look also for the bright stars of the shoulders and feet and the fainter stars of the head and sword. Orion rises in the early evening at the beginning of December and dominates the sky all winter long. The hunter's stars, which include two of the brightest in the heavens, outshine those of any other constellation. Because Orion stands above the earth's equator, it is visible from every inhabited place on earth. All human cultures in every time and place have given special note in story and myth to this wonderful array of stars. Sailors of old feared the sight of Orion, for his appearance on the eastern horizon forecast stormy winter weather. But the hunter has also long been associated in myth with the forces of goodness and light, and as such we welcome his appearance as a promise of sparkling starry nights to come. 3rd: It is important to acquire early a sense of your own place under the stars. Orion's belt will help. Point to the place on your horizon that is due east of your observing location (a map of your town will help you find the approximate compass points -- later you will use the stars). Now swing your arm up in an arc through the stars of Orion's belt, and on to the point on your horizon that is due west. You have traced out the sky's equator, or celestial equator. The celestial equator is the imaginary line among the stars that lies directly above the equator of the earth. 4th: It is convenient to imagine, as the ancients believed, that all of the stars lie on one great skysphere that surrounds and encloses the earth. We call this imaginary sphere the celestial sphere. In fact, as we know, the stars are distributed in space at different distances from earth, and there is no "sky-sphere." The three stars of Orion's belt, however, do lie at about the same distance from the earth and are therefore part of a true cluster. Like many of the stars, the stars of the belt have Arabic names. These names derive from the time of Europe's "Dark Ages" when the Arabs were the keepers and developers of ancient Greek astronomy. When Europeans rediscovered astronomy during the late Middle Ages, it was often by way of Arabic translations of the Greek texts. Mintaka (MIN-tack-a) means "belt." Alnitak (Al-NYE-tack) also means "the belt." The meaning of Alnilam (Al-NILE-am) is less dear but is possibly "the belt of pearls," a beautiful name for this string of dazzling stars. As we go along, you may begin to wonder why so many star names begin with "Al-." The answer is a simple one. "Al-" is the Arabic prefix which means "the." 5th: We require a convenient way to describe the positions of the stars on the celestial sphere. This is accomplished through the use of an angular method of measurement, with the vertex of the measured angle at the eye of the observer. The full circle of the sky, all the way around the earth, is 360 degrees (360°). The angle from horizon to horizon passing over your head is 180°, and the angle from the horizon to the zenith is 90°. If you stretch your arm out in front of you and sight along it with one eye, the angle between the tips of your spread fingers is about 15°. This is the width of the constellation Orion. It should take about six handspans to measure the distance from the horizon to the zenith. Try it and see how closely your hand and arm fit the rule. 6th: Our custom of dividing a circle into 360° derives from ancient Babylonian astronomy. As seen from the earth, the sun appears to make a full circuit of the sky in a little over 365 days (see Jan. 8). A degree, then, as defined by the Babylonians, was about the distance the sun moved each day with respect to the background of stars. The three little stars of Orion's head occupy a circle of about 1° diameter. The angular size of the moon against the sky is 1/2°, or about half the width of your little finger held at arm's length. The moon would therefore fit nicely between the three stars of Orion's head. If you look for these stars on a clear night you might have the impression that the moon is much larger than the space they enclose. Hold out your little finger against these stars and then against the moon, and you will discover that the moon is smaller than you think. Some other useful guides for measuring angles in the sky are shown at the right. 7th: The earth turns on its axis under the stars once every 24 hours, and carries us around as it goes. The stars remain fixed in the deeps of space. The earth turns west to east on its axis. As a result, the stars -- with sun, moon, and planets -- seem to move from east to west, making one full circuit around the earth each day. Like the sun and moon, the stars of Orion rise in the east and set in the west about 12 hours later. If you watch Orion throughout the evening, you will see him move one handspan (15°) toward the west each hour. In 24 hours, Orion will set in the west, pass beneath the earth, and rise again from the east to regain his present position. The illusion that it is the stars, not us, which move is very powerful. The earth is near at hand and seems massive and stationary compared to the apparently tiny celestial objects. Only since the brilliant theoretical work of Nicholas Copernicus in the 16th century have we come to recognize that the "turning" of the stars is actually the turning of the earth. 8th: In addition to a daily spin on its axis, the earth makes a great annual journey around the sun. Since the stars we see at night are those on the side of the earth opposite the sun, the evening sky changes as our vantage point changes. As the earth carries the observer eastward around the sun, the stars seem to move night by night toward the west at a rate of about 1° per day. In 6 months' time, looking out into space from the other side of the sun, we shall find other stars in our starry night. 9th: The stars do not appear equally bright in the sky. This is due to two things: (1) the stars are at different distances from the earth, and (2) the stars are not all of the same intrinsic brightness. The scale that is used to describe the brightness of stars as they appear to earth observers is called the scale of apparent magnitude. The scale was invented by the astronomer Hipparchus who lived and worked in the city of Alexandria 2100 years ago. The brightest stars in the sky, like Rigel and Betelgeuse in Orion, Hipparchus called stars of the first magnitude. The faintest stars he could see, he called sixth-magnitude stars. To other stars he assigned appropriate magnitudes between these limits. Thousands of years later we still use Hipparchus' scale of apparent brightness, although it has of course been made quantitatively more exact. Hipparchus was one of several great astronomers of the ancient world who was associated with the city of Alexandria. 10th: The exact modem magnitudes of the stars of Orion are shown above. If you live near city lights you will not see stars less bright than about the fourth magnitude, or no more than several hundred stars at any one time. If you live where the sky is very dark, on a clear night you might see several thousand stars down to the sixth magnitude. The stars of Orion's head are about the fourth magnitude and are a good test of the quality of the night. Of course, with binoculars or a telescope, you can see many more stars than could be seen by Hipparchus, even on dark Alexandrian nights unmarred by atmospheric pollution or electric lights. With the invention of the telescope it was necessary to extend the scale of apparent magnitude to encompass stars less bright than the sixth magnitude (see Oct. 25-28). At the other end of the scale, a few stars in the sky -- Sirius, Canopus, Alpha Centauri, and Arctutus -- have been assigned negative magnitudes on the modem scale. 11th: Just below the star Alnitak in Orion's belt is one of the most famous objects in the sky. The Horsehead Nebula is a dark cloud of dust and gas silhouetted against a brighter region of glowing interstellar gas heated to incandescence by the energy of the many stars embedded within it. The Horsehead takes its name from its shape. The size of this dark cloud is almost too great to imagine. A billion solar systems would fit neatly inside, and the Horsehead is just a wisp of a much larger cloud! You will not see the Horsehead with the naked eye. It is best seen with long-exposure telescopic photographs. 12th: The vast spaces between the stars are filled with dust and gas. It is in just such dense nebulae as the Horsehead that astronomers believe stars and possibly planets are born, condensing by gravity from the material of the cloud. If a knot of condensing gas -- it is mostly hydrogen -- is compressed to a density and temperature great enough for nuclear fusion to occur (see Jan. 14), a star is born. This is the process that is occurring even now in the Great Orion Nebula. What looks to the naked eye like three stars in Orion's sword are revealed by a small telescope to be a fascinating complex of stars and glowing gas clouds. Even to the unaided eye the central "star" of the sword may seem fuzzy. This "star" is the Great Nebula, a spectacular region of turbulent gas and dust heated by the radiation of hot young stars that have only recently (by star time!) condensed from the matter of the cloud. The diameter of the Great Nebula is more than 20,000 times that of the solar system, and there is enough hydrogen, helium, and other materials in the cloud to form at least 10,000 stars similar to our sun. Stars have lifetimes such as we do, although much longer ones. In the Great Orion Nebula we observe their births; shortly we will see how they die. 13th: Embedded in the very heart of the Great Orion Nebula, and visible with binoculars or a small telescope, is the beautiful multiple star system known as the Trapezium, four hot young stars in a tight trapezoid-shaped cluster. Actually, these four stars are only the brighter components of an expanding cluster containing hundreds of faint stars. The intense radiation from these high-temperature stars excites the gas of the surrounding nebula and makes it glow. To the eye the nebula glows with an eerie green light, but photographs show beautiful hues of pink, blue, and violet. 14th: From the expansion rate of the Trapezium cluster and from the color and brightness characteristics of the member stars (see Mar. 19-20), it has been estimated that the stars in the group may be less than half a million years old -- making it one of the youngest associations of stars known. Indeed, some members of the group may even now be "turning on" their nuclear energy sources to become stars. As gravity pulls together a knot of gas and dust from the Great Nebula, the pressure and temperature at the core of the contracting cloud go up. When the temperature reaches about 10 million degrees Celsius, nuclei of hydrogen atoms fuse together to form the heavier nuclei of helium. This is the same process that occurs in the explosion of a hydrogen bomb and results in a release of energy. The energy makes its way to the surface of the contracting sphere where it is radiated as heat and light. A star is born! The new energy source at the star's core stops the gravitational contraction of the star. The star can continue to burn steadily -- an outward pressure sustained by nuclear fusion balanced against gravity -- for as long as the hydrogen at the core holds out. The lifetime of a hot blue star such as Bellatrix might be as little as 10 million years. Bellatrix is larger than the sun and contains 10 times as much matter. Although it has more fuel than the sun, Bellatrix is a hotter star and "bums" its hydrogen at a faster rate. The slower-burning sun will probably have a lifetime of 10 or 15 billion years. Since our star is now about 5 billion years old, we have about at least 5 billion years to go! 15th: When a star such as Bellatrix has used up the hydrogen fuel at its core, gravity again gets the upper hand and the core of the star collapses. The sudden increase in pressure and temperature in the core releases new (but limited) sources of nuclear energy which heat the outer layers of the star and cause them to expand outward. As the star swells, the outer layers cool and change color from bluish, to white, to yellow, to red. The massive white star Rigel (RYE-jell, "foot") is possibly at this stage of its evolution and has begun the process of expansion. Rigel is 50 times bigger than the sun. 16th: If Rigel continues to expand, in tens of thousands of years it will become a red giant star like Betelgeuse (BET-el-jews, or beetle juice is close enough, "armpit of the giant"). Betelgeuse is one of the largest stars known. Its diameter is greater than the earth's orbit around the sun! It is one of the very few giant stars that has been seen as an actual disk, rather than a mere point of light. Using special techniques, astronomers have taken photographs that show features of its surface. The distinctive reddish, color of Betelgeuse is readily apparent to the eye, particularly by contrast with white Rigel. 17th: As he stands in the winter sky with his club raised, Orion faces a formidable opponent. Plunging toward him from the west is Taurus (TOR-us) the Bull, an awesome long-homed creature with threatening red eye and head lowered in a tumultuous charge. The bull is not so conspicuous a constellation as bright Orion, but the "vee" of stars that outlines the bull's face is easily recognized. Taurus is almost certainly one of the most ancient of the constellations. It is one of the familiar signs of the zodiac, the constellations that the sun moves through during its yearly journey across the sky (see June 25). Six thousand years ago, when astronomy and agriculture were developing together in the civilizations of the East and Near East, the sun was in Taurus on the first day of spring, a passage that marked the beginning of the cycle of planting, growth, and harvest. It is perhaps because of this that the bull figures so prominently in the myths and legends of the eastern Mediterranean worlds. 18th: Aldebaran (al-DEB-a-ran), the bright red eye of the bull, is a red giant star with a diameter 36 times as great as the sun. Big -- but not nearly so large as monstrous Betelgeuse! Aldebaran's Arabic name means "the follower." The star rises about one hour after the little group of stars known as the Pleiades (see Jan. 23), at almost the same place on the eastern horizon, and follows the cluster across the sky. The colors of stars are indicators of their temperatures, a relationship that is the same, say, as for a piece of iron heated from red hot to orange, to yellow, to white hot. Bluish or white stars like Rigel are very hot. Orange or yellow stars such as our sun are less hot. Ruddy stars like Aldebaran are the coolest of all. The intrinsic brightness of a star is determined by both its temperature and its size. Although cooler than the sun, Aldebaran would far outshine our star -- if at the same distance from the earth -- because of its much greater surface area. 19th: The ecliptic passes near Aldebaran. The ecliptic is the imaginary line on the celestial sphere that marks the sun's yearly journey through the stars. Of course, it is actually the earth that does the moving, not the sun. But as the earth travels around the sun, the sun appears to move against the background of the more distant stars. When the sun is in the sky, its great light, scattered through the earth's atmosphere, obliterates the fainter light of the stars. So we must imagine the background of stars in the sun's part of the sky. The sun is in the constellation Taurus in late May and early June. 20th: The full ecliptic passes through twelve constellations, collectively called the zodiac. The sun will always be found in one of these constellations. Because the moon and planets move more or less in the same flat plane as the earth's orbit (the ecliptic plane), we will always find them somewhere in the sky near the ecliptic. The "ecliptic" takes its name from the fact that an eclipse of the sun or moon can only occur when the moon is on the ecliptic and in a direct line with earth and sun. If you see a bright "star" in a zodiac constellation that is not on your star map, you are almost certainly looking at a planet. Watch the planet night by night and see it move with respect to the stars (the inner planets will move more rapidly than the outer ones). Sometimes the moon's monthly circuit around the earth takes it directly in front of a zodiac star, such as Aldebaran. When the moon blocks the light of the star we say that the star is occulted by the moon. An occultation of Aldebaran is an exciting event to watch with binoculars. Since the star is an almost perfect point of light and the moon has no atmosphere, the light of the star blinks out with surprising suddenness as the moon passes over it. 21st: The stars we see as flat constellations on the celestial sphere are actually distributed in three-dimensional space. So stars which appear together in our sky may be very distant from each other in "real space." The two stars at the tips of the bull's horns, for example, are at very different distances from the earth. Nath ("butting horn") is about 300 light years away, and Zeta Tauri (ZAY-tah TOR-ee) is closer to 1000 light years distant, or three times further. The associations of stars we call constellations are therefore of mythological significance only, and have little physical meaning for the modem astronomer. They remain, however, convenient fictions for talking about the stars. A light year is the distance light travels in a year at a speed of 186,000 miles per second. The light by which we see Nath left that star 300 years ago! Zeta Tauri's light has been traveling toward us since the time of William the Conquerer. A light year is about 6,000,000,000,000 (6 trillion) miles. 22nd: Aldebaran is one of the nearer stars of Taurus, only 68 light years from earth. Zeta Tauri is one of the most distant stars of Taurus that can be seen with the unaided eye. Most of the stars you will see in the night sky without optical aid are between 20 and 1000 light years distant. There are about 100 stars closer to us than 20 light years, but most are small dim stars that cannot be seen without a telescope. At a distance of 1000 light years, only a few of the most luminous giant stars are still prominent. Many of the stars of Taurus are part of two great clusters. The Hyades (HI-a-deez), which include most of the stars of the bull's face, lie at a distance of about 130 light years. The Pleiades (PLEE-a-deez), a tiny twinkling cluster of stars in the body of the bull, are three times further from the earth. You will note from the drawing that an observer on a planet of Nath would not see the two clusters in the same part of the night sky. 23rd: The Pleiades are a true cluster of stars, not an accidental alignment. Its members all lie about 400 light years from the earth. The brightest is Alcyone (al-SIGH-oh-nee), a star a thousand times more luminous than the sun. Photographs show the Pleiades embedded in wisps of gas which shine by light reflected from the stars. The cluster is young, having condensed from a great nebula only 20 million years ago. What are possibly glowing shreds of that nebula still cling to the stars. 24th: From very remote times the Pleiades have been a source of wonder, fascination, and delight. There is no other cluster of stars in the sky quite like it, a tight little "teacup" of stars that many people mistake for the Little Dipper. Legend refers to these stars as the seven daughters of Atlas (who held the world on his shoulders), or simply as the "Seven Sisters." There are actually hundreds of stars in this group, but only six can reliably be seen with the naked eye. Was another star of the duster brighter in antiquity than at present? There is no way to know. For a pleasant story that accounts for the typical absence of the "seventh sister," see the description of the Big Dipper stars Mizar and Alcor on May 15. How many stars of the Pleiades can you see? Claims for naked-eye observations have ranged as high as 14-16. Nine stars are the most I have seen without the help of binoculars -- on a spectacularly starry night! 25th: Like the Pleiades, the Hyades are another striking example of an open (or galactic) cluster. These loose clusters of stars are typical of the spiral arms of our galaxy, and presumably represent groups of stars that evolved together from one of the great gassy nebulae that are common in the arms of the galaxy. Of the many stars in the Hyades duster, the stars of the "vee" of the bull's face are the most easily observed. Aldebaran, although part of the "vee" and along the same general line of sight, is not a member of the group. The stars of the Hyades are moving away from us and toward the east at speeds of about 30 miles per second. Perspective makes them seem to be converging on a point in the sky near Betelgeuse in Orion, but it would take thousands of years for this so-called proper motion of the stars to become apparent to the eye. The fact that all of these stars move together confirms their common origin from a single nebula. 26th: Between the horns of the bull, but visible only with a telescope, is a remarkable object. The Crab Nebula is the shattered remnant of a star that blew itself apart in the year A.D. 1054 -- earth time. Since the star was many thousands of light years from earth, the explosion actually occurred thousands of years before it was observed here. This supernova explosion was recorded by Chinese and Japanese observers, but no European record is known. The explosion must have certainly been observed in Europe, because for weeks the supernova was the brightest starlike object in the sky. Almost a thousand years later, the cloud of debris is still expanding and is a beautiful object in telescopic photographs. Supernova explosions may be a typical fate for very massive stars. Only the collapsed core of a star might survive such a catastrophe. 27th: What is the fate of a star that has used up its nuclear fuel and temporarily swollen to become a red giant, or to the core of a star that has blown off its outer layers in a supernova explosion? Gravity again gets the upper hand and squeezes the remaining mass of the star to greater and greater densities. If the dying star has a mass about that of our sun or less, the squeeze will stop when the repulsive force between electrons in the matter of the star at last equals and resists the crush of gravity. At this point the star is about the size of the earth and has an almost unimaginable density. Such a star is white hot, but because of its small size not very bright. It is called a white dwarf. 28th: Bright Sirius, near Orion's foot, has a tiny white dwarf companion visible only with a telescope (see Feb. 11-14). Billions of years from now, after a period as a red giant, our sun too will spend the waning years of its life as an earth-sized dwarf. But if an exhausted and collapsing star has a mass greater than several times that of the sun, the repulsion force between electrons is not strong enough to resist the crush of gravity. The star continues to contract. Electrons are squeezed into protons to form neutrons. Finally, the repulsive force between the neutrons, which is stronger than that between the electrons, can stop the collapse. At this stage, a star originally larger than the sun has been squeezed down to the size of a city, and is called a neutron star. A teaspoon of its matter would weigh a billion tons! The properties of matter in such a state of extreme density are almost too bizarre to be imagined. If the neutron star is rotating rapidly, it can radiate regular and rapid bursts of light, radio, and X-rays. It is then called a pulsar. The theoretical existence of neutron stars was predicted in the 1930s. The first pulsar was discovered in 1967. Since that time, many pulsars have been catalogued. There is a pulsar at the center of the Crab Nebula, the skeleton of the much more massive star that blew off its outer layers in that colossal explosion. 29th: Auriga (or-EYE-ga), the Charioteer, is not a constellation whose shape readily suggests the figure it is supposed to represent. Most people try to remember it simply as a pentagon. The most southerly star of the pentagon, Nath, is actually in Taurus and is the tip of the bull's horn. During the evening hours this month the constellation, including bright Capella, will be almost directly overhead. 30th: The dazzling yellow star near your zenith tonight is beautiful Capella. It is the fourth brightest star visible to northern observers (after Sirius, Arcturus, and Vega), and the sixth brightest star in the heavens. It is the most northerly of the first-magnitude stars. Capella is actually a binary or double-star system. Both components are about the same temperature as the sun, but many times larger and brighter. They are possibly approaching the red giant stage of their evolution, or perhaps contracting from it. Capella means "she-goat," and the three little stars in a triangle just to the southwest of Capella are known as "the kids." Capella is a relatively nearby star, only 45 light years away. The distances of the kids from earth are 370, 1200, and 3000 light years -- a long way from mother! 31st: Capella's kids are interesting in their own right, particularly Epsilon Aurigae. This is one of the most mysterious stars in the sky. Once every 25 years the light from Epsilon dims for a period of about 700 days. Some astronomers believe that this is because Epsilon is eclipsed by a huge invisible companion star, revolving around Epsilon and itself too cool and rarefied to emit much light. If this is so, Epsilon's companion would be the largest star known, about 3000 times bigger than the sun and about the size of the orbit of Saturn! Another possibility is that the companion is a more ordinary star, enshrouded and hidden by a great cloud of dust, possibly a solar system in the process of formation. More recent speculation has suggested that the mysterious unseen companion of Epsilon Aurigae might be a black hole, an exhausted very massive star collapsed to such incredible density that not even light can escape the pull of its gravity. Copyright &copy; 1982 by Prentice-Hall, Inc.